A lecturer has said he was suspended after criticising Nottingham University's treatment of a pupil who downloaded an al-Qaeda training manual. Terrorism expert Dr Rod Thornton wrote a paper claiming the university "attempted to discredit" Rizwaan Sabir, after his arrest in 2008. Mr Sabir was released without charge after six days. The university said Dr Thornton's article was "highly defamatory of a number of his colleagues". On 14 May 2008, counter-terrorism officers arrested the student along with Hicham Yezza, who worked as the principal school administrator at the university's School of Modern Languages. Mr Sabir had downloaded the manual as part of research for a dissertation, and had sought Mr Yezza's help in drafting a PhD proposal because of his position as editor of a political magazine. Both were released on 20 May and cleared of any involvement in terrorist activity. In a paper prepared for the British International Studies Association (BISA), Dr Thornton claimed the university later "refused to apologise to the men" and also began to "resort to defensive measures that attempted to discredit their names". He wrote: "Untruth piled on untruth until a point was reached where the Home Office itself farcically came to advertise the case as a 'major Islamist plot'." 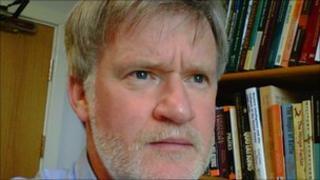 Dr Thornton, a former soldier, cited the case as an example of how young Muslim men can become "easily tarred with the brush of being terrorists". A University of Nottingham spokesman said: "The article produced by Dr Thornton is highly defamatory of a number of his colleagues. The university rejects utterly the baseless accusations he makes about members of staff. "We understand that BISA have decided to remove the article from their website. "Academic freedom is a cornerstone of this university and is guaranteed in employment terms under the university's statutes. "That freedom is the freedom to question, to criticise, to put forward unpopular ideas and views - it is not the freedom to defame your co-workers and attempt to destroy their reputations as honest, fair and reasonable individuals." He said staff had legitimately alerted police because the manual was discovered on the computer of Mr Yezza - an administrative worker with "no academic reason to possess such a document". In response to the defamation claims, Dr Thornton said he had "spoken the truth" and had done so "within the law". The university has refused to confirm or deny whether the academic has been suspended.